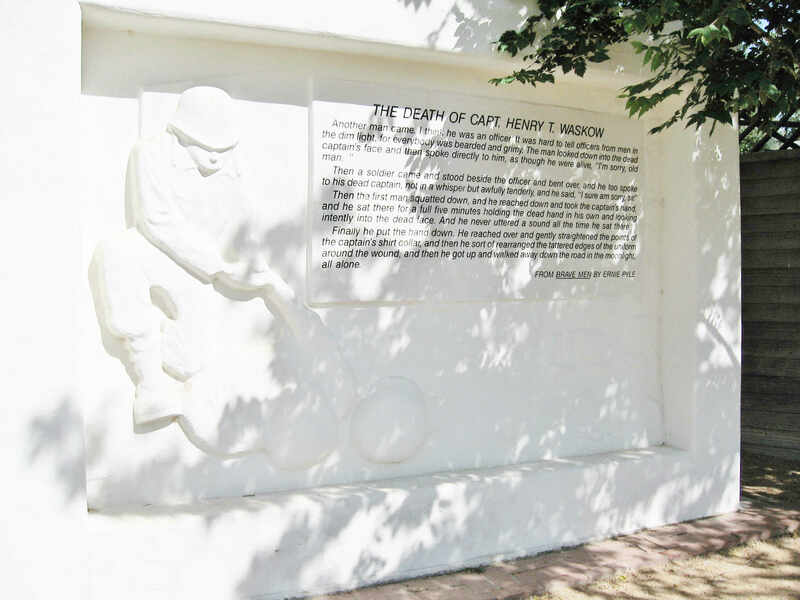 The Ernie Pyle Library is proud to be the home of Brave Men by artist Willard Schroeder, a white cement relief sculpture memorializing Captain Henry T. Waskow. This sculpture is part of Albuquerque's Public Art Collection. Find out more about the City of Albuquerque's Public Art on the city website.